Yesterday I took at look at a couple businesses that are part of a food trend that seems to have plenty of staying power: cupcakes. 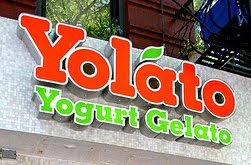 Today I’ll examine another, newer food phenomenon: frozen yogurt. A few months back I compared a couple of the key players in yo biz, but having seen quite a few shops since then, I decided it was the perfect opportunity to do another Ten Point Scale. 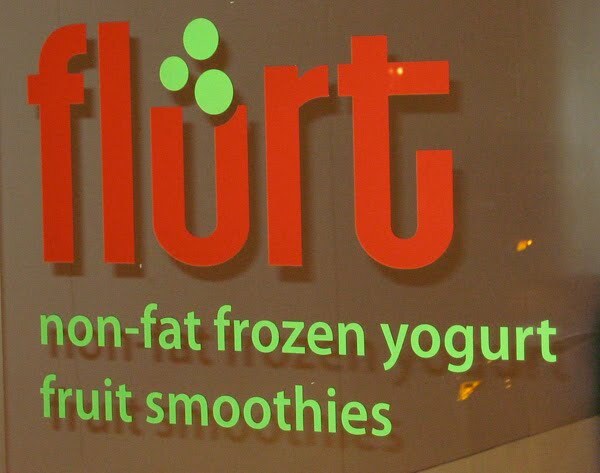 So read on to see the spectrum of Pr*tty to Sh*tty in froyo logos. Also, a quick reminder that 10 is the Pr*ttiest and 1 is the Sh*ttiest. And check out the first and second installments of the Ten Point Scale, in case you missed them. 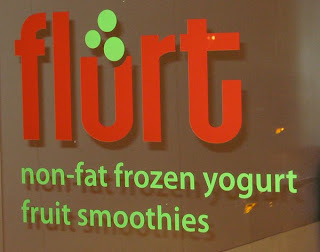 I’m still not sure why froyo places like the word Berry, but it’s only fitting the the Pr*tty example from my May blog post be at the top of the heap. This uses a handsome, slightly funky typeface that gives this logo a distinctive, authoritative appeal. The name is also fun to say. 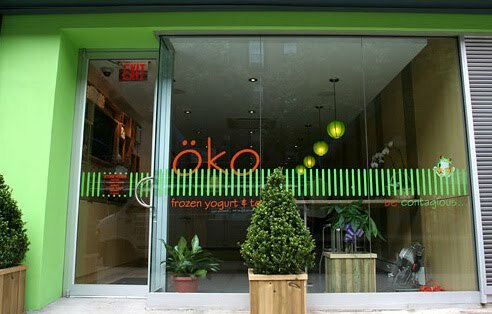 A couple small demerits for the green leaf (yogurt ain’t got no leaves) and a tagline that spells out the meaning of the name (duh). Another leafy letter. And a heart-shaped i dot. A bit indecisive perhaps, but at least modest in its execution. As with number 8, this one is trying to do too many things. But the name is cute, and I think the extra pillowy typography works better than a lot of the skinnier rounded typefaces you see on this scale. Recently featured on Brand New, I think this new identity is well considered, and fresh. It’s a major step up from their earlier abomination (skip to the end to see that). OK, the font is awful, but the name is short and interesting enough to mitigate most of its awfulness. 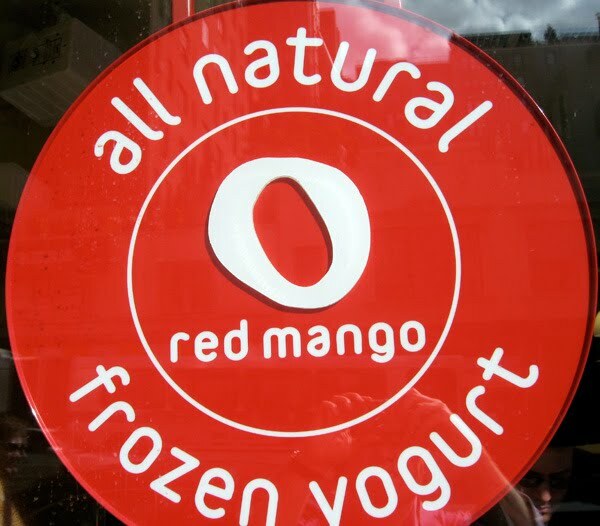 And the color choices (despite copying Yolato’s (let’s face it, there’ a lot of redundancies in frozen yogurt logos)) highlight this particular shop’s environmentally holistic approach. Decently delicious colors (ignore that blue tile on the wall), but all too boring, practically institutional looking typography. Image submitted by P*S* Reader David Glaubke. Thanks! Here’s what I don’t get about this identity: the name; the O-shaped mark; the unappetizing, un-frozen-yogurt-like red; and whatever the f*ck a red mango is. This logotype is badly drawn (is it a font? ), but what really bugs me is that the punny name makes no sense. What do handles have to do with yogurt? But really, here’s what bugs me even more: the presumption that a fugly cup of yogurt can replace the letter a in Handles. I guess, in light of a name that made no sense, they decided to further confuse people by compromising its legibility. If it was only fitting that the top of the scale be the original Berry Pr*tty, it’s even more fitting that we bookend this exercise with the original Berry Sh*tty. And man is it ever. Since this logo is still in wide usage, including their website, I figured it deserved a nod. I’m sorry, I didn’t mean nod. I meant vigorous head shaking. I totally forgot about this one, and found it in my photo library from a few months back. So I figured I’d include it as a bonus a week after the fact. It’s a pretty nice logo, but I’m not sure about the green dots cutting into the u like that. And that t is a little horsey. I enjoy their logo, but not as much as their pomegranate froyo! Don't know much about the industry, but I'm guessing "16 handles" refers to the levers on the machine that one pulls to dispense the frozen yogurt. Presumably they're boasting about a diversity of flavor options, but that doesn't excuse the awful design.